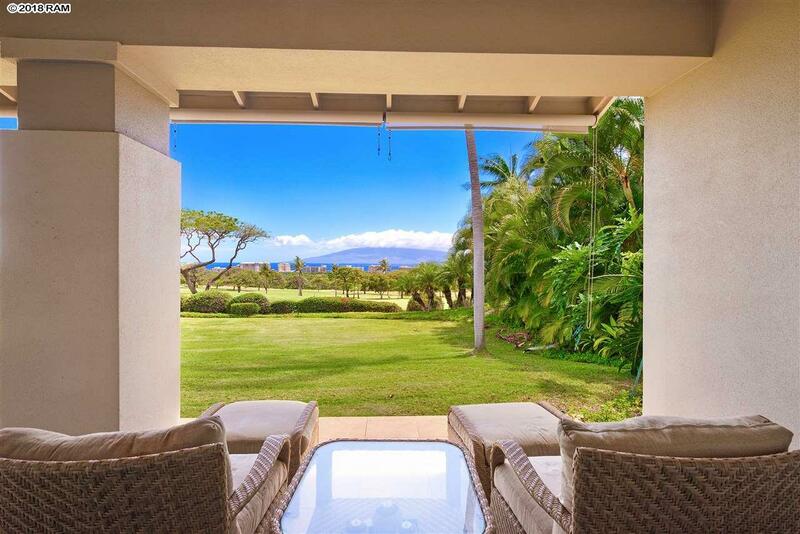 Considered by many to be the best location on the property with breath-taking views of the ocean, mountain, golf course and the Islands of Lanai and Molokai. 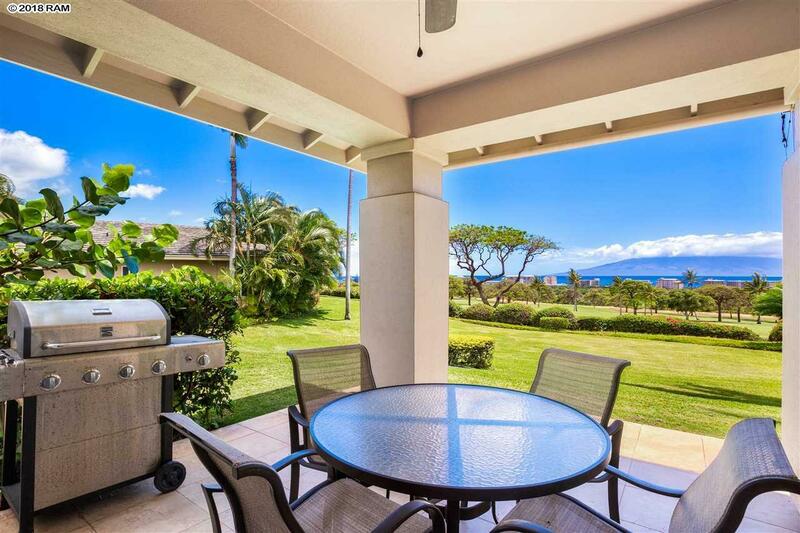 One of the very few 4 Bedroom 2-story homes on the front line of The Vintage at Kaanapali with a total of 2912 sq. Ft. in a gated, private, community. Top floor is spacious, light, and airy with 2 bedrooms giving privacy from the the downstairs master bedroom. This Vintage #115 is a "D Plan, two story, 4 bedroom/3 full bath with 2 bedrooms upstairs connected by a large Jack and Jill bath. Granite counter tops, and a 2-sink vanity, highlights this guest bathroom. Tile flooring and w/w carpeting in the upper bedrooms. Cozy lounge area convenient for overnight visitors or computer/game room. 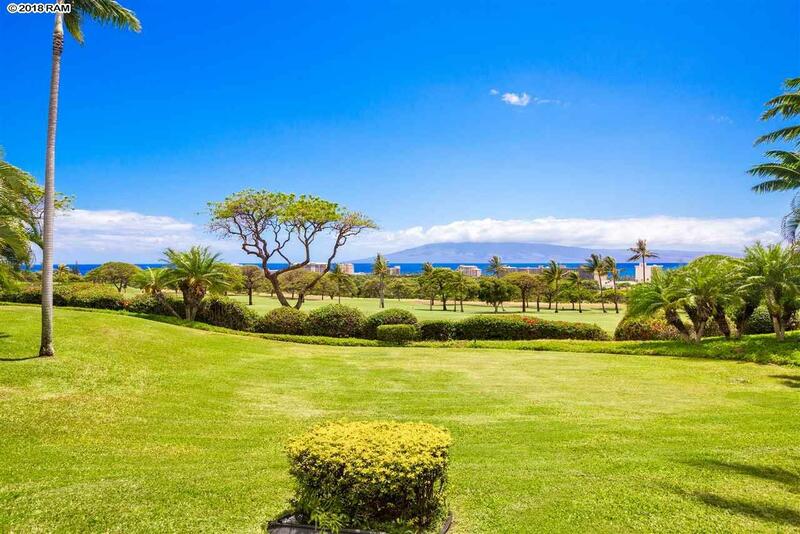 Panoramic ocean and mountain views of the Kaanapali Kai Golf course situated between the attractively landscaped hazard pond located between the 10th and 11th holes. 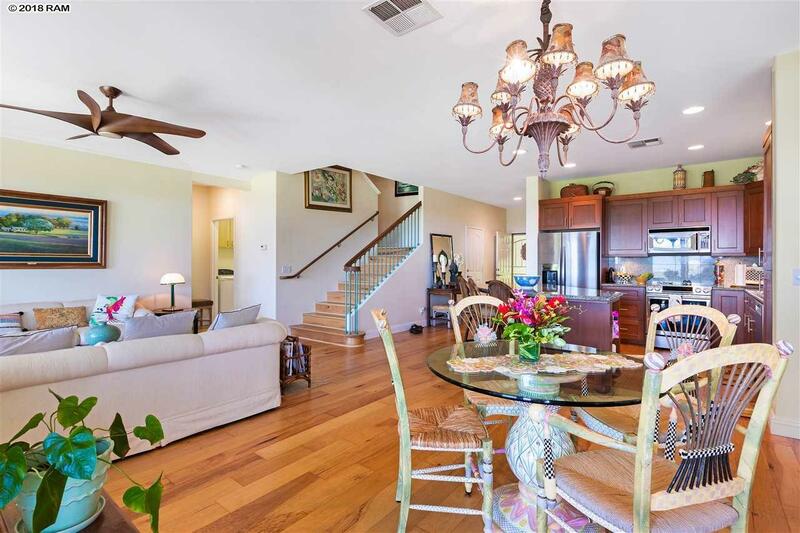 This elegant, 4-bedroom, 3 bath townhouse has had many recent upgrades, and is in premium turn-key shape. New hickory wood flooring throughout the ground floor, stairwell, and landing. New tile floor in master bath and the back lanai has new tile. Painted throughout with Sherwin Williams paintceilings, walls, baseboards, cornices all done in April 2018. New window coverings/shades with custom tropical valences. Sunscreens inside the living room, dining room, master bedroom, as well as lanai sunshades operated remotely. There are skylights in upper hallway which are custom fit. Master suite has spacious walk-in closet and there is a separate laundry room with built-in storage. Kitchen cabinets replaced and refaced with cherry. All kitchen appliances replaced, except microwave. New 19 toilet in downstairs bath and master bath. Master bath has new tile flooring, separate soaking tube and glass shower. New shut-off valves. Central air throughout. Fabulous views from ground floor in all rooms. Only 3 other homes are on the Cul-de-Sac, providing for spacious parking. Privacy as well as location make this a perfect home. Listing courtesy of Monte D Fitts Realtor. Listing provided courtesy of Monte D Fitts Realtor.